A lot of my fellow workers are here at the diner today. However, my mind is too full of ideas for future chapters, and even though I’m trying to avoid the news today, my seat is next to the TV, and CNN is the channel du jour. Today, my first craving of soup has fallen by the wayside; I need a big lunch today to feed my head. 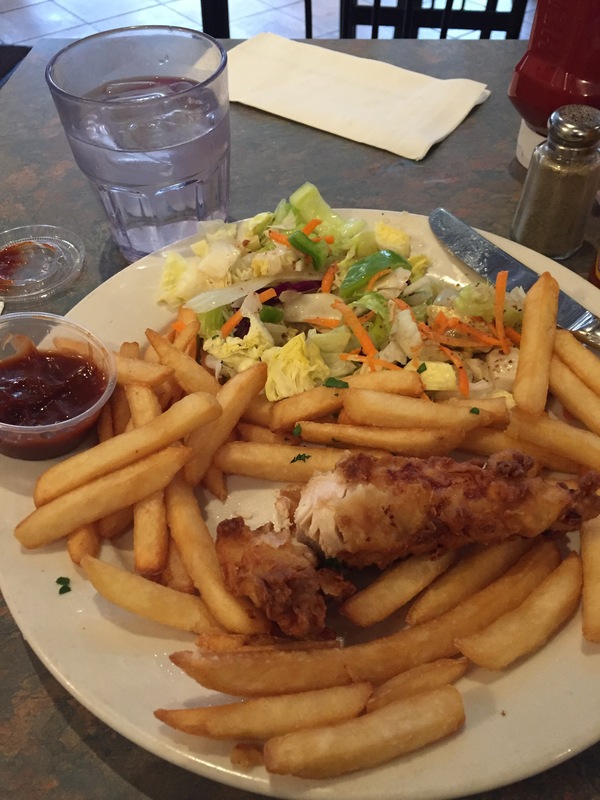 Wonderful crunch and breading on the chicken; fries are freshly fried, and the green salad (lettuce, shaved carrots, cucumbers, tomatoes, red onions and green peppers, with Italian spices and dressing. Very refreshing.